Новый альбом "Of Twilight And Evenfall..." американской black metal группы Indesiderium выходит 30 октября! / New album "Of Twilight And Evenfall..." of US black metal band Indesiderium is out on October 30, 2018! In 2012, the Legion that is Indesiderium summoned forth an ancient esoteric alchemy firmly rooted within the traditions of their forefathers. After many years of performing and recording with numerous live bands, Atrum Lorde and Mattias decided to remove themselves from the public eye. They believed it would be wise to establish Indesiderium as a two-person musical entity in order to focus on the creative synthesis rather than the complexities that often accompany numerous personalities and egos. Through the ashes of the elders, they forged epic hymns by means of astral projection and meditative necromancy. In 2015, the independently released debut album “Wanderer of the Abyssal Plains” was unleashed upon the masses in a limited pressing of 300 copies. 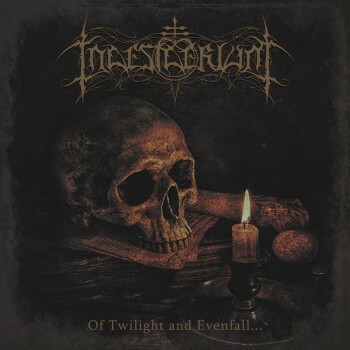 Through this album, Indesiderium quickly amassed a strong and perpetually devoted following within the underground United States Black Metal scene.